Is it real now or not completed yet? Can I buy one? / How many quantum computers have been manufactured in the world? Is quantum computing independent (e.g Quantum+LCD+Keyboard) or it add-on for PC (e.g GPU)? / Can I use a quantum computer directly or must connect it to PC? Can quantum computers run high-end games? Can I program a quantum computer using C++? If not, why so? Quantum computers are real, and they have been made by several companies such as IBM, Intel, Google, Alibaba, and Rigetti. 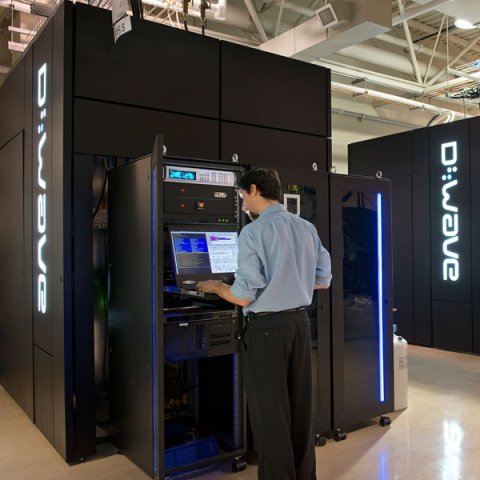 D-Wave also makes quantum annealers, which do not have provable speed-up over classical computers for most problems, but do have the same speed-up as circuit-based quantum computers for some problems (such as the square-root speed-up for the sort problem that Grover's algorithm solves on circuit-based quantum computers). The pursuit to build quantum computers is far from complete. We want to make machines with more qubits and less noise, for example. 2- Can I buy one? D-Wave has released 4 models for public sale in the last 7 years. They sold their first annealer (the D-Wave One) for \$10 million and their second one (the D-Wave Two) for $15 million (see here). Their most recent machine, the 2000Q also sold for \$15 million. None of the circuit-based quantum computers are publicly advertised for sale, but I'm sure if you offered Rigetti \$15 million for one, they would make it for you. Google and Intel might not be as interested in your money since they already have a lot of that, and since they seem a lot more reluctant to let people use their machines than IBM (who let's anybody use their machines directly), maybe they wouldn't sell you one for any price you offer, but this is just a guess. How many quantum computers have been manufactured in the world? 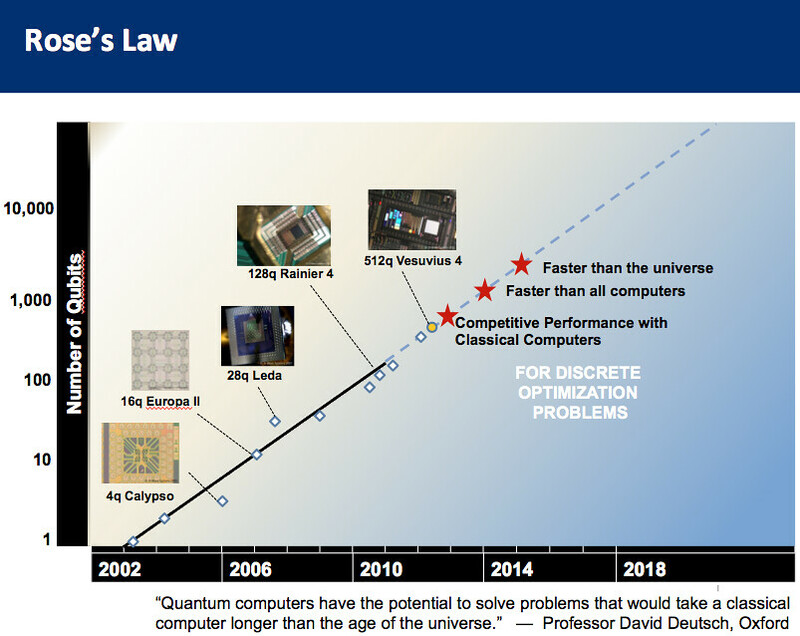 The first quantum computer had only 2 qubits in 1998 and was made at Oxford University by Jonathan Jones with theoretical input from Michele Mosca (see the original paper). Hundreds of quantum devices like this have been made in universities since then. 15 larger-scale quantum devices are listed here, but this list doesn't include Alibaba's quantum computer, and dozens of other prototypes made by these companies. For example this shows that D-Wave made at least 9 more machines that are not listed in that Wikipedia article. They have also made machines for their own testing such as the machine with the Pegasus architecture. Think of it more like a GPU accelerator. Use a classical keyboard and mouse to give it commands, and a classical LCD screen to see the output, but allow the calculations to happen on a device that involves qubits. Can a quantum computer process same CPU data? QPU's can process all classical data. A classical CPU can't process all QPU data, but certainly can process any classical data that a QPU uses. Quantum computers right now don't have enough qubits. If and when quantum computers have enough qubits, they will be able to do anything that a classical computer can do, and more. There's some C/C++ simulators here but there's also languages specifically for quantum computers, such as Q#. See this list. 1 - Not completed in the sense computations suffer from noise. Doing fault-tolerant quantum computations would be a major advancement. 3 - So far it is just a chip, with big cooling system which takes some storage place. Connection with a classical computer will be just to send instructions to the chip and get the answers back to you as classical information. 4 - No classical data cannot be processed unless we have a way to convert it to quantum form, which is non trivial. 5 - So far it is not the purpose. 6 - You have some quantum simulators in C++. You can find them on Quantiki's list of QC simulators.